Come join the Friday fun in our Beginning Quilt Class! 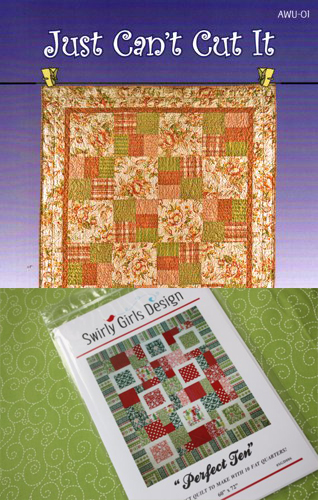 We can help you select a beginner-friendly quilt pattern - such as Just Can't Cut It or Perfect Ten, help with your selection of beautiful quilt fabrics for your project, and help you select the supplies you'll need to complete your quilt top. Over the course of your 3 Friday class sessions, we'll show you the basic skills of quilt making - how to cut your fabric and stitch together your quilt top. Please call or stop by the shop to register for this class. You finished your 3 class sessions and loved it so much that you want to attend more? Ready for your next project - a "confident beginner" pattern? An experienced quilter looking to refresh your skills? That's great! We look forward to seeing you soon! Please contact the shop to register and pay for your next 3 class sessions - then let the fun begin......again! Steve is an experienced quilter and machine embroiderer with over 10 years of quilt shop experience. He has a keen eye for color, and enjoys helping students with fabric selection for their projects.